(TibetanReview.net, Jul16, 2016) – China and the Vatican are about to reach an agreement that would fall short of full diplomatic ties but would address key issues at the heart of the bitter divide between them, according to a Reuters Special Report Jul 14. Citing interviews with some two dozen Catholic officials and clergy in Hong Kong, Italy and mainland China, as well as sources with ties to the leadership in Beijing, the report said a working group with members from both sides was set up in April and was discussing how to resolve a core disagreement over who has the authority to select and ordain bishops in China. The group was also reported to be trying to settle a dispute over eight bishops who were appointed by Beijing but did not get papal approval – an act of defiance in the eyes of the Vatican. Calling it a likely dramatic breakthrough, the report said the pope was preparing to pardon the eight, possibly as early as this summer, thereby paving the way to further détente. 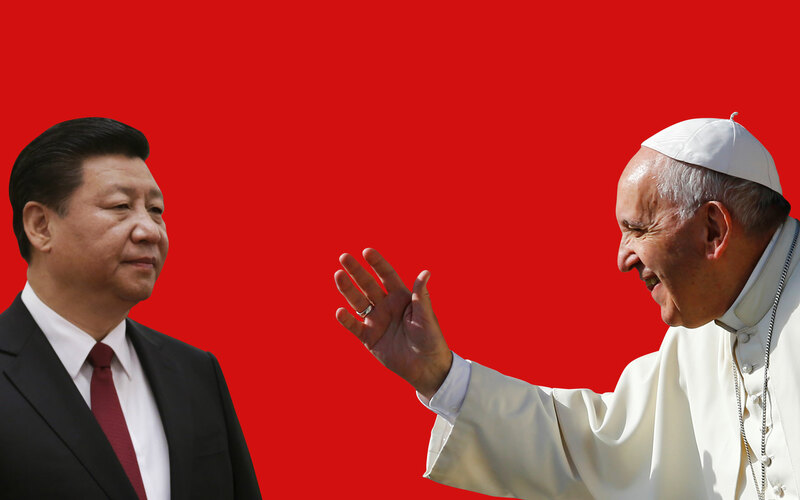 The report noted that a signal of Francis’ deep desire for rapprochement with China came last year in the form of a behind-the-scenes effort by the Vatican to engineer the first-ever meeting between the head of the Roman Catholic Church and the leader of the Chinese Communist Party. Aides to the pontiff tried to arrange a meeting when both Pope Francis and Chinese President Xi Jinping were in New York in late September to address the United Nations General Assembly. The report added that though a meeting didn’t happen, the overture did not go unnoticed in Beijing. According to the report, while both the sides had said they were discussing the issue of the bishops, Catholic sources had given the most detailed account yet of the negotiations and the secret steps the Vatican had taken to pave the way to a deal. The Vatican is currently the only Western state which has diplomatic ties not with Beijing but Taiwan in the latter’s official name as the Republic of China. Switching this tie would be an important diplomatic victory for China which views Taiwan as a renegade province waiting to be reunited with the mainland, including by force if necessary. For the Vatican, the hope is to ease the plight of Christians on the mainland who for decades have been persecuted by the authorities. A deal may ultimately pave the way to diplomatic relations, giving the Church full access to the world’s most populous nation with a continuously growing Christian population. The report said spokespeople for the two sides acknowledged the talks were continuing but had declined to answer detailed questions about them.